Almaz is a single mom. She and her 4 children were suffering from lack of opportunity. She struggled to support herself and her children. Almaz yearned for self-reliance, but could not access any resources to purchase necessary materials for market work. Roots Ethiopia shared resources and skills with Almaz. She wrote her business plan with the help of Roots Ethiopia field staff, attended a business training where she learned basic accounting and planned for success. 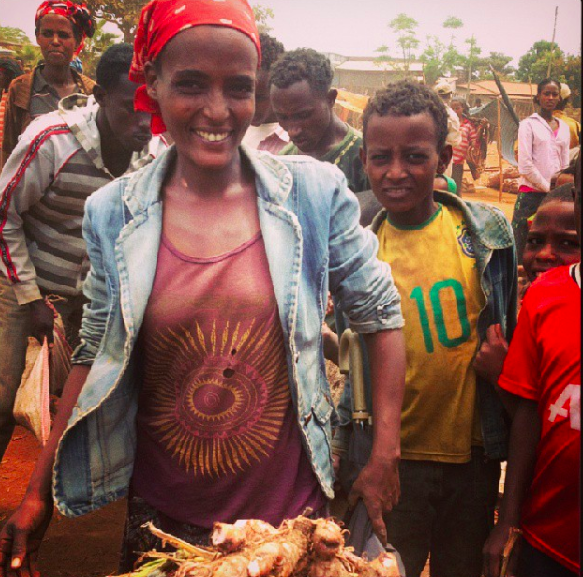 Now Almaz purchases vegetables in bulk and is able to sell items like taro in local vibrant markets. She is able to pay her rent, feed, and educate her 4 children. Almaz’s story is typical of our Income Generating Activity grants. Roots Ethiopia’s IGA program provides women like Almaz the resources and confidence they need to move from dependence to independence. Our field staffs are expert community leaders and social service providers who understand the needs of the community and support change at the most basic and sustainable level in the communities where they work and live.